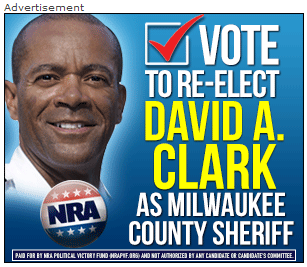 Cognitive Dissidence: Today's Political Ad Is Brought To You By The Letter "E"
Today's Political Ad Is Brought To You By The Letter "E"
The Republicans are circling their wagons fast and hard around their favorite cowboy, Sheriff David Clarke. Among his biggest supporters is the ALEC/dark money group, NRA, which has been running ads left and right. The gentle reader will notice that not only is the "e" in Clarke silent, it's gone missing! You would think that if they wanted to support the guy, they might want to at least spell his name right. I reckon that we can say that NRA should really stand for Not Real Astute. Fortunately, after Tuesday, we can learn how to spell Moews, as in Chris Moews. Or is it Chris Meows? 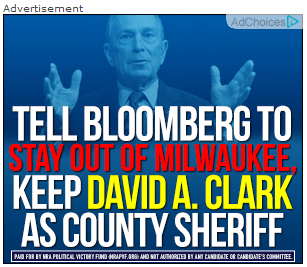 Yes tell Bloomberg to stay out of Milwaukee but they refuse to tell Koch Bros. to stay out of Wisconsin. How ironic! Well ya see.... the Koch Bros actually have a business in WI and provides UNION jobs in WI.... bloomberg has NOTHING to do with WI. Or the NRA or the Bundy supporters! Funny how that works. There's a five-letter word that comes to mind to describe people like Clarke and his supporters who love to dish it out, but screech and whine when someone responds in kind. These partisan primaries, a progessive innovation started in Wisconsin in 1905, does a nice job of separating the wheat from the chaff. It starts with David Clarke, where suddenly Tommy Thompson is his great ally, telling Republicans to cross over so they can try to beat Moews. Then Dan Adams reveals his true stripes to the mass public, running ads on conservative talk radio. 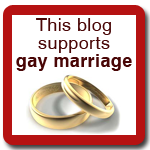 The GOP also want, seeing that they had to partisanly cross over, vote for Gary Goyke in the 4th CD. 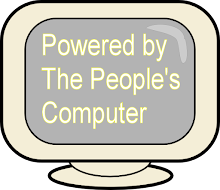 local favorite, Concerned Citizens for Government. This whole Clarke vs. Abele fight is political theater, as they both seem to be backed by the same types. I'm sorry, but I meant to name the group named above Citizens For Responsible Government. The right controls Clarke, who dutifully criticises the centrist Abele, to create this big tension between county and city government. The projection and basement dwelling us strong with this one. Clarke mentality and "leadership" leads to stuff like what you've seen in St. Louis the last few days. Right, it's unhinged liberals gunning down unarmed teens in the street. And it's unhinged liberals escalating the conflict with riot gear, rubber bullets and tear has. SUUURE it is.